A report was prepared to provide a conceptual understanding of water availability and use in the Cataraqui Source Protection Area. The water budget accounted for all the water that moves into and out of a watershed (including evaporation, precipitation, and runoff) as well as the movement of water within the watershed (including groundwater recharge and infiltration). The report was completed in October, 2009. 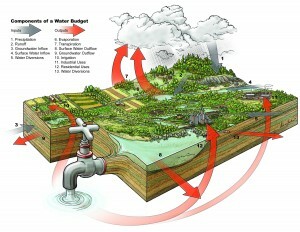 It was used as a technical resource reference document during the development of the Cataraqui Source Protection Plan.